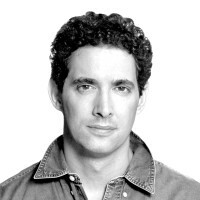 Between 2000 and 2010, Alex Berenson worked as a reporter for the New York Times. Prior to joining the New York Times, Berenson was a founding member of TheStreet.com, the groundbreaking Internet financial website, specializing in financial investigative reporting. Berenson’s debut novel, The Faithful Spy, won the 2007 Edgar Award for best first novel and was a #1 New York Times bestseller. His John Wells series of novels has sold more than 1 million copies worldwide.